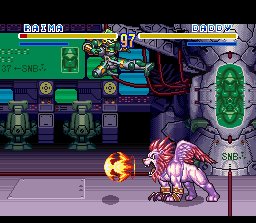 Godzilla: Kaijuu Daikessen wasn’t the only SNES fighting game I was curious about for over 12 years. 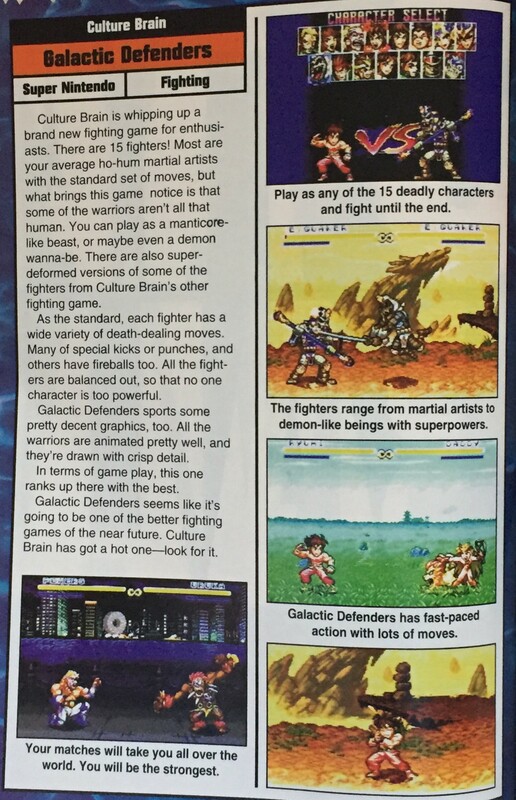 EGM ran a tantalizing preview for a cool looking fighting game in early 1994 that immediately caught my eye. 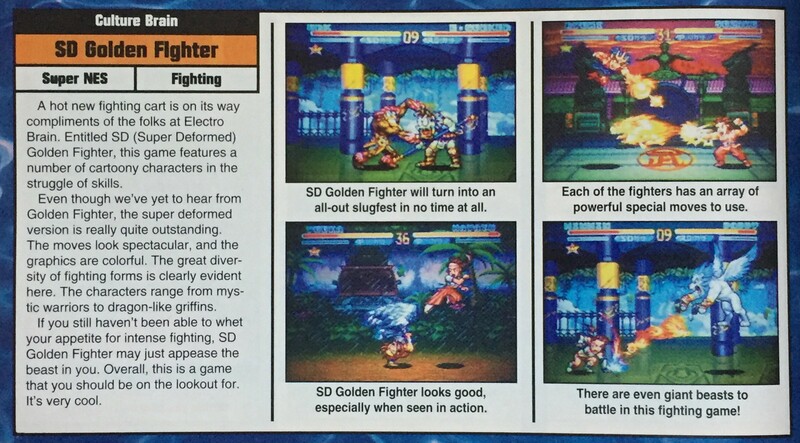 First appearing in EGM issue #55 (February 1994), SD Golden Fighter was slated for a North American release and I could not wait to rent and play it. 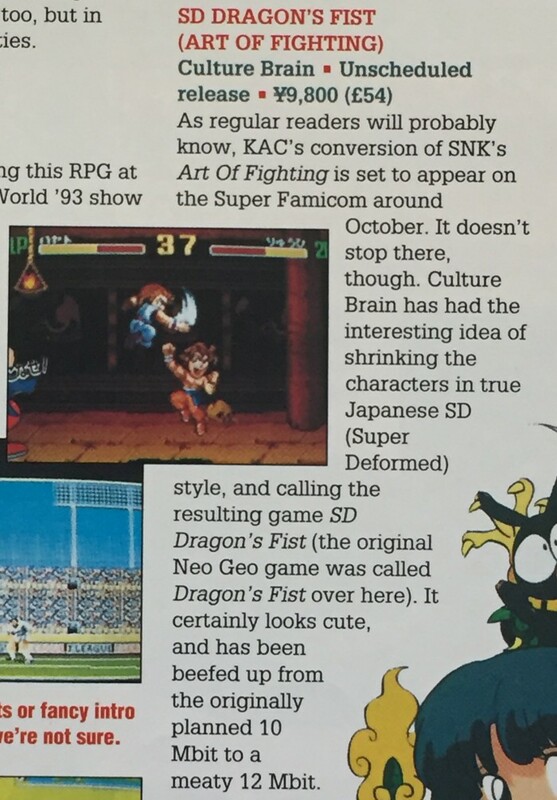 Several months later (September 1994), EGM would preview it once more (issue #62). Rebranded as Galactic Defenders, I figured we would get it well in time for the holidays and that it was only a matter of a few short weeks before Galactic Defenders would hit the shelves of KB Toys and Software Etc. Sadly, the North American release was cancelled for whatever reason. Probably because Culture Brain figured it wouldn’t sell too well in the end. 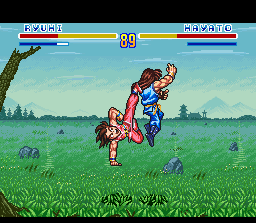 But thankfully the game did come out in Japan under the name of SD Hiryu no Ken. 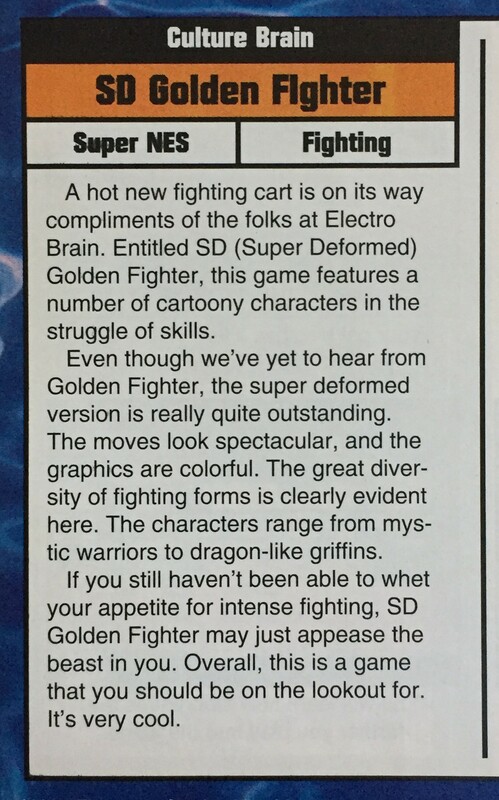 As a 10 year old boy who ate up any and every fighting game that came out back then, I could not wait to get my hands on SD Golden Fighter. 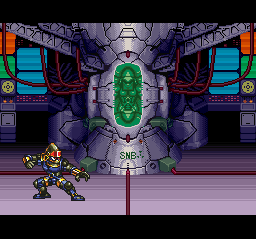 I remember thinking that it looked like an arcade game! 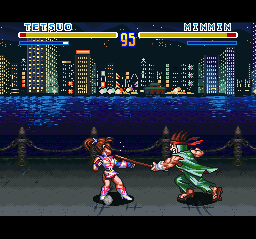 And feeling that it was probably going to be a lot better than most other SNES fighting games. But as I said, sadly, the North American release wasn’t meant to be. There was even supposedly a box already designed for it, too. The game of many names. It seemed like Culture Brain couldn’t make up its mind. Hell, it even changed from 10 MEGS to 12. 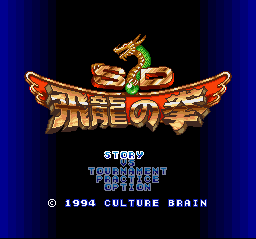 In the end, it only came out in Japan as SD Hiryu no Ken. It was an innocent early Saturday morning just like any other. 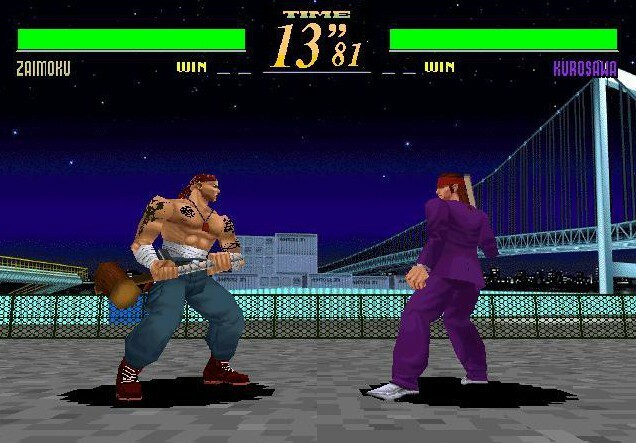 I remember going to GameFAQs (Classic Gaming forum) to see if anyone had responded to my question in a topic called “Saturn Collection 7″ regarding what everyone’s plans were for Labor Day weekend. It was there that I found someone raving about JapanGameStock.com. They were saying how JGS was having a special on Super Famicom games (Buy 3 Get 1 Free). 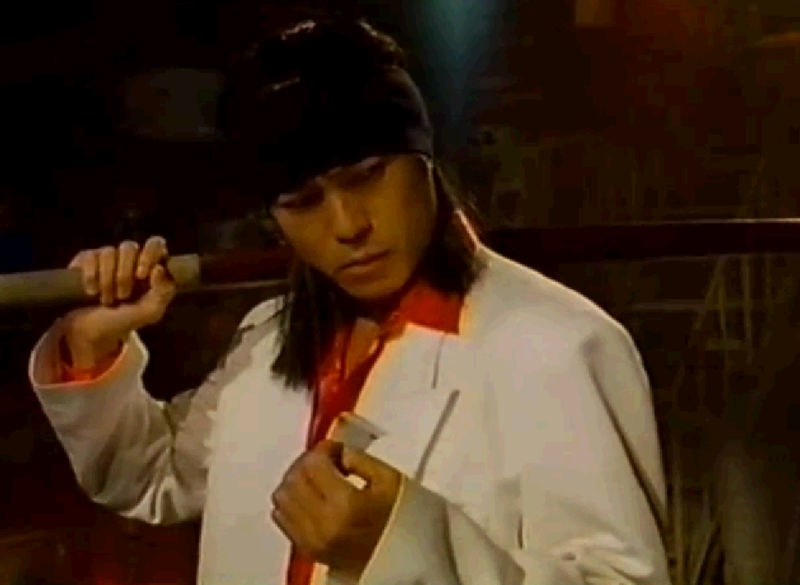 I immediately visited JGS and what I discovered that night was a gold mine. 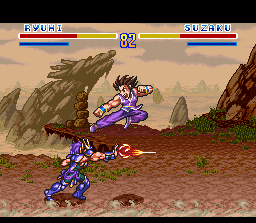 A lot of the obscure Super Famicom exclusive titles I wanted were on there, including SD Hiryu no Ken! 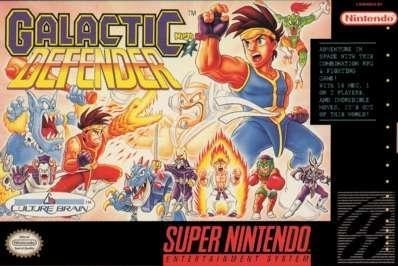 Once I saw the cartridge label, I had a hunch it was SD Golden Fighter AKA SD Dragon’s Fist AKA Galactic Defender(s). After checking AllGame.com (R.I.P. ), it was confirmed! At last my 12+ year childhood curiosity was going to be quelled. I ended up buying a crap load. Final damage: $362! 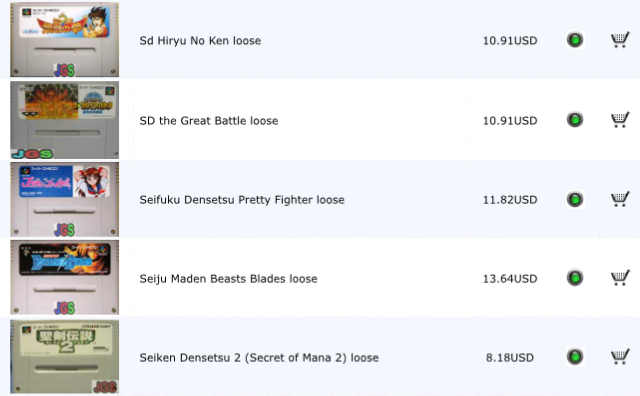 I ended up adding a few more games to the order on September 9, pushing my grand total to $362.16. Because JGS didn’t take PayPal back in 2006, I had to buy one of those pink international money orders. 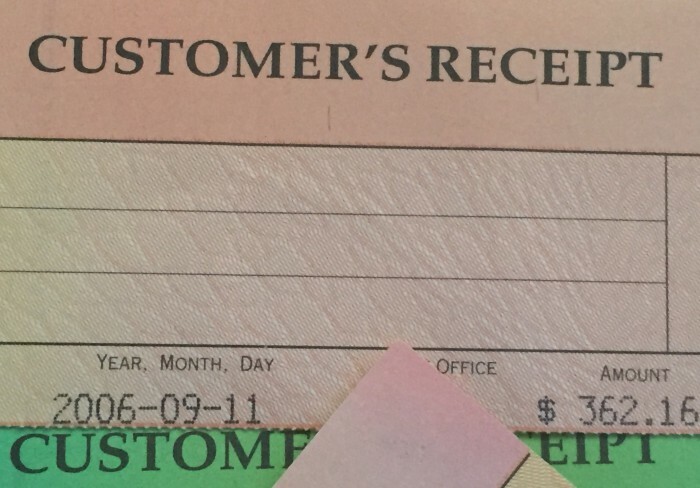 God, I think it’s been 12 years since I last purchased a money order. 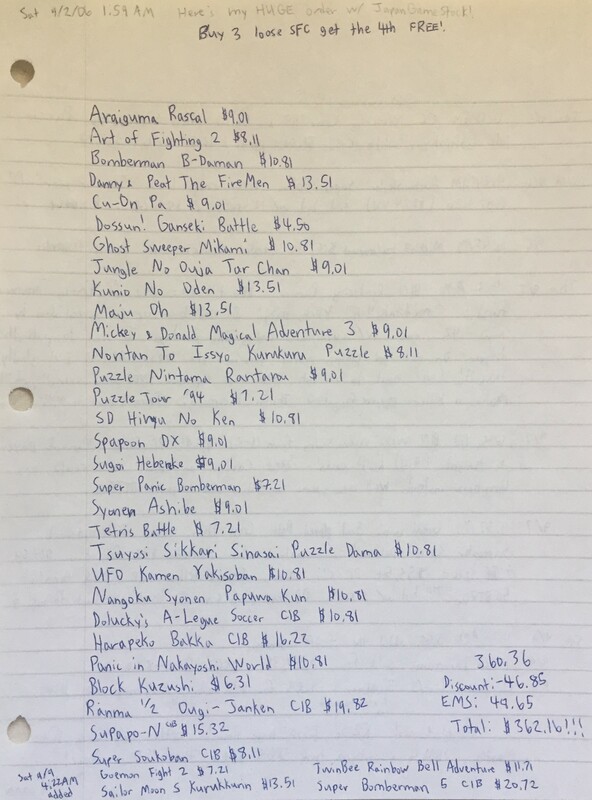 I bought so many of the green US money orders back in the early-mid 2000s for my Saturn game buying. 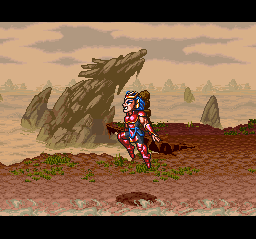 Fun fact: Once I bought these games during that fateful Labor Day weekend, I felt the timing was right to start my “Obscure Super Famicom Impressions” topic which I posted at several gaming forums. Prior to buying the games, I didn’t want to write about games I didn’t yet own out of fear of driving up prices. So once I knew I had secured a massive lot of them, I felt at ease to begin my topic having peace of mind knowing that I already own the games. My topic went on to become a cult hit within the retro gaming community. Keep in mind that late 2006 was before highlighting “hidden gems” and obscure Japanese games on YouTube, blogs and the like became all the rage. I’m not claiming to be the first one to ever do it, but I did become known as the guy who champions lesser known video games. My topic ran from September to December 2006 and eventually gave way to the birth of RVGFanatic in January of 2007. 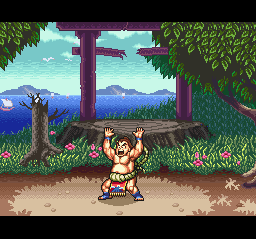 Without JapanGameStock’s help, there’s a chance RVGFanatic might never have existed. Nearly 12 years later and here we are. Crazy eh? 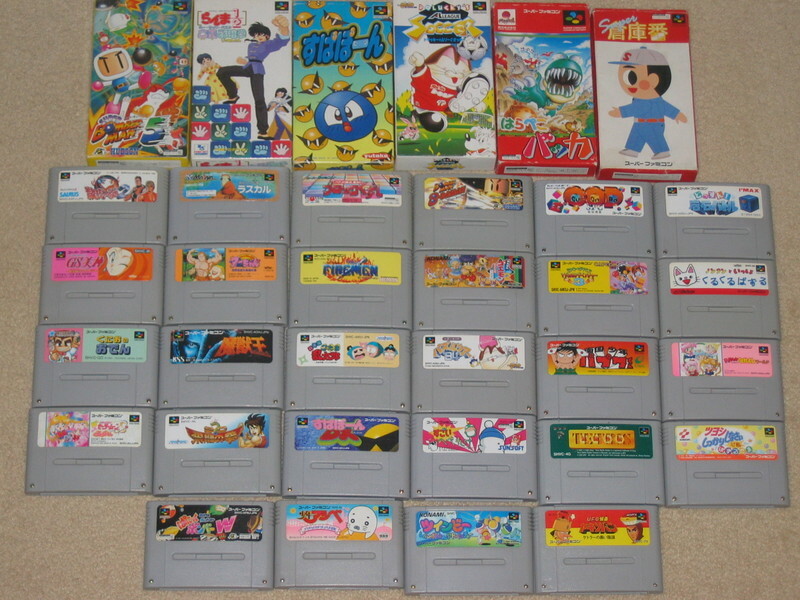 I ended up buying so many games from them in late 2006 and early 2007 that when they discovered I started my own site to highlight obscure Super Famicom imports among other things, JapanGameStock linked RVGFanatic. It is still linked to this day. What an honor. Thanks JGS! 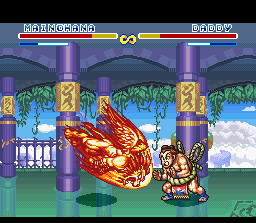 DOES SD HIRYU NO KEN DELIVER? Choose from four different playing modes: Story, VS., Tournament and Practice. 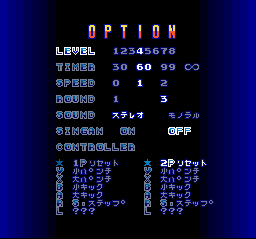 An options screen allows you to reconfigure the buttons, select your computer difficulty level and as was typical of that era, there’s a speed option with a cheat code that allows you to crank it up to a level 3. 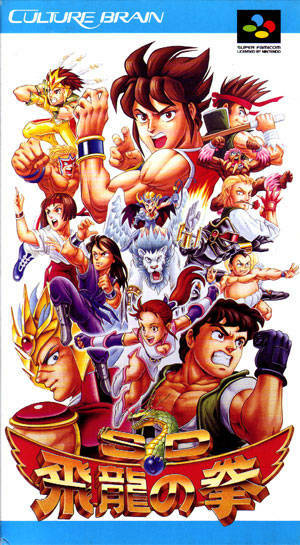 Boasting an impressive roster of 15 warriors, SD Hiryu no Ken held the distinct honor of having the most selectable fighters in a Super Nintendo fighting game. All for a week anyhow. 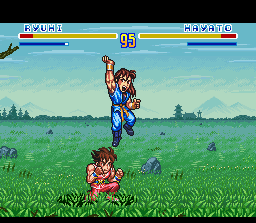 SD Hiryu no Ken was released in Japan on July 17, 1994, while Super Street Fighter II came out on July 25, 1994, and featured 16 fighters. 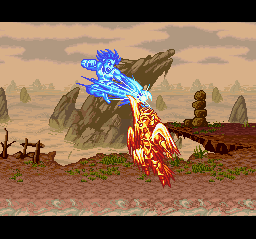 Still, SD Hiryu no Ken certainly gives you a lot of options, especially at a time when 10 or 12 fighters was the norm. 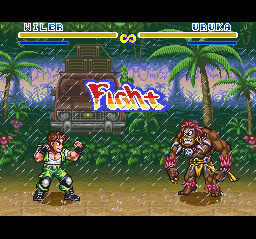 It’s got a good mix too of karate masters, badass rebels, muscle-bound maniacs and mutant monsters. 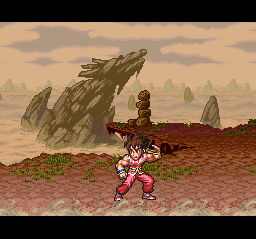 Ryuhi’s stage takes place on a beautiful cliff overlooking a rock formation that resembles a howling wolf. 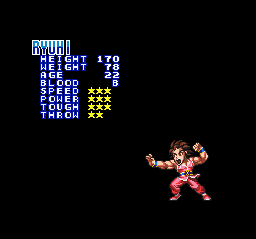 Ryuhi is a balanced fighter and the main character of SD Hiryu no Ken. 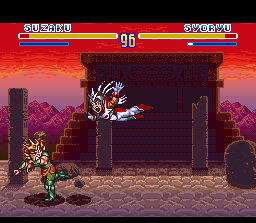 Suzaku is the main villain of the game. 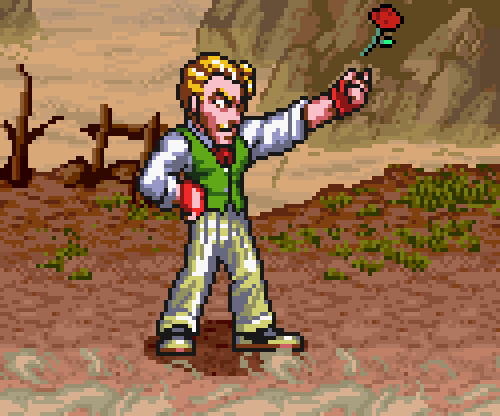 His background is the same as the character you are using. 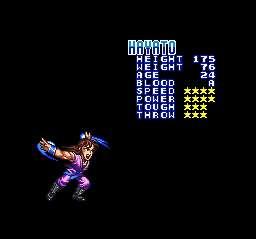 Believe it or not, Hayato has better star ratings than the main character. 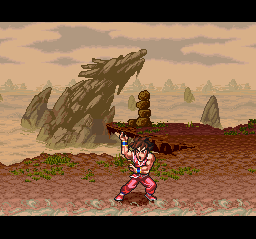 In addition to having a sweet rising uppercut (more of a palm strike really), his stage reminds me a lot of the grassy and stormy background in Australia from Street Fighter Alpha 2, sans the impressive lightning of course. 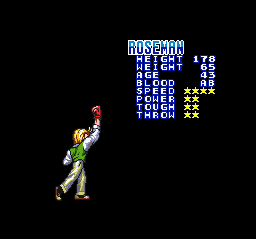 Roseman is lacking in power, toughness and throwing ability but he makes up for it with really good speed. 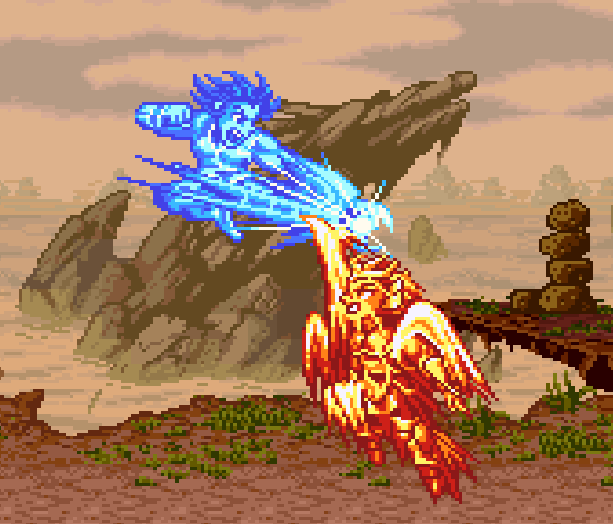 Plus, he just flat out looks super cool. Not to mention his background features the famous Big Ben tower. Win! 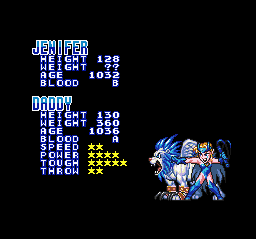 Jenifer has Daddy issues you say? I say you’re the one with Daddy issues! 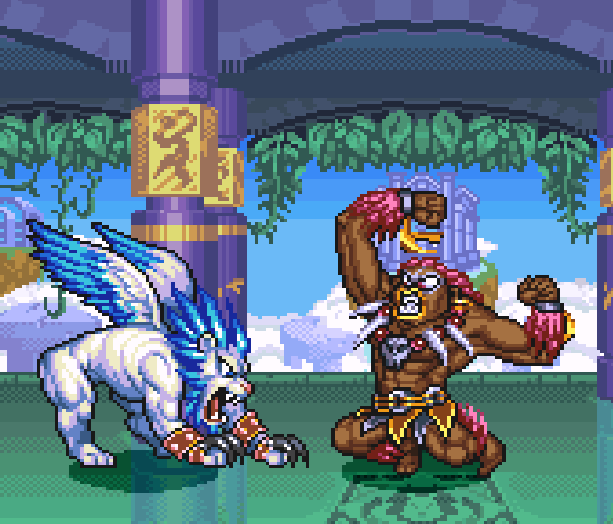 After all, you’ll have to contend with Daddy, Jenifer’s big bad pet manticore. 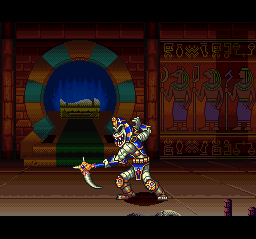 Things start to get a little bizarre with this character here, but that only adds to the game’s appeal. 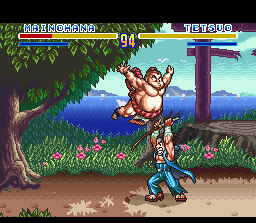 Mainohonda, I mean, Mainohana, is a grand sumo champion who is surprisingly well balanced and has more stars to his name than the main fighter. 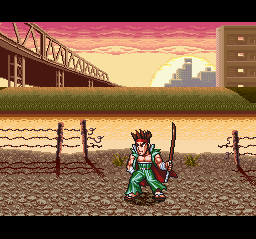 He likes to conduct his battles out in a wooded area where he meditates before and after each match. After all, you can accomplish amazing feats when you train your mind, body and soul to be one with nature. 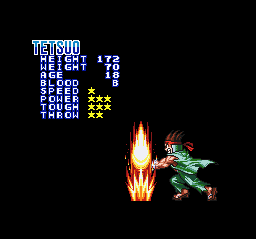 Looking and fighting like your typical Yakuza, Tetsuo has “badass” written all over him. 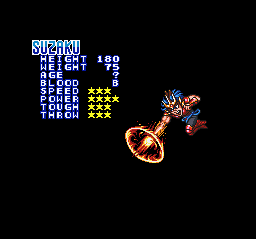 It’s a shame, then, that he only has a star rating of 9, the lowest total in the entire game. Oh well, at least he looks the part. That and his background is awesome. I love how you can see the sun just peeking out over the land, which most assuredly is somewhere on the wrong side of town. 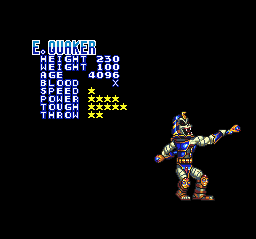 Fighting games are notorious for featuring at least one fighter who is the residential “freak.” E. Quaker fits that job description to a tee. 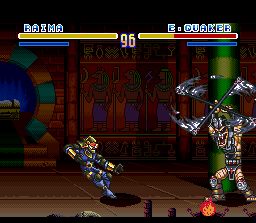 A serpentine mummy of sorts, Quaker looks to claim the crown as his very own. 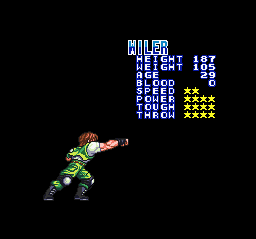 Wiler’s mighty fist has secured him many wins in the past, and he hopes to continue that tradition in this tournament. 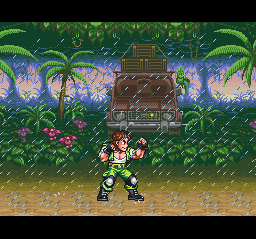 A military warrior, Wiler prefers duking it out under the harsh elements of the Amazon. The rain makes for a cool atmospheric effect. 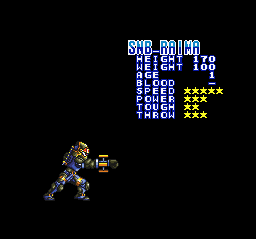 Shrouded in mystery, RAIMA is a fighting robot and one of the fastest combatants in the tourney. 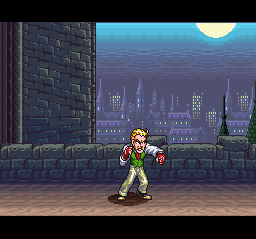 The lab where his fights are held is rumored to be the same place in which he was constructed. 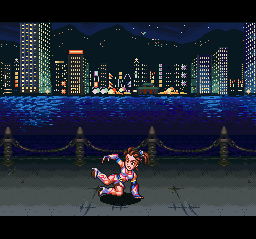 What’s a fighting game without a lovely backdrop overlooking a pretty city at night? 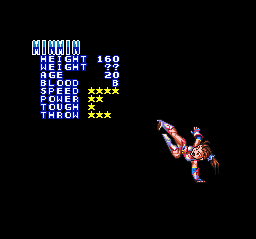 Min Min, a Chinese female fighter with kick-based attacks, likes to pummel overly cocky punks when she’s not busy sampling the latest trendy restaurant or taking in the night life. 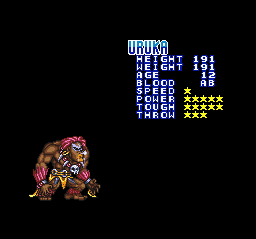 Looking more like he belongs in the Primal Rage universe, Uruka is a hulking and feral freak. 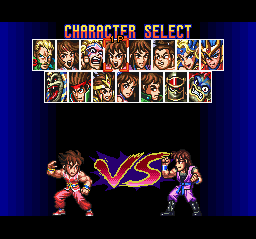 I’m a sucker for a quirky fighting game roster and SD Hiryu no Ken definitely has exactly just that. 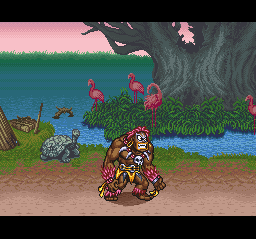 His background is admittedly a bit dull, but I dig the flamingos. 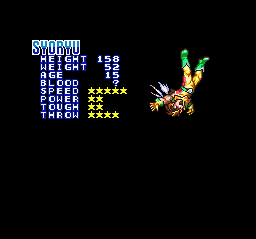 Syoryu is faster than a bullet and combines traditional martial arts with Lucha Libre. Rey Mysterio would be proud! 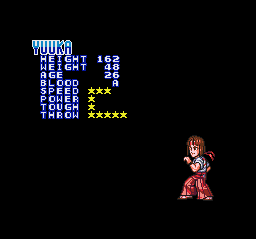 Reserved outside of battle, Yuuka turns into a savage once the bell rings. 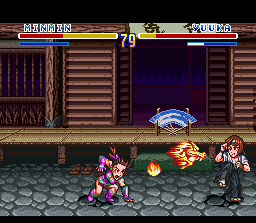 A master of Daitō-ryū Aiki-jūjutsu, Yuuka likes to create whirlwinds to toss her foes. 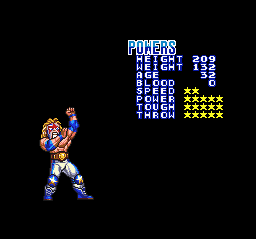 Powers, surprisingly, owns the highest total star rating. 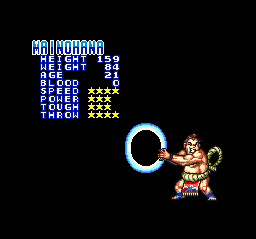 Clocking in at an impressive 17 total stars, he is the strongest, toughest and best thrower in the game. Talk about a Hulk Hogan-esque push! 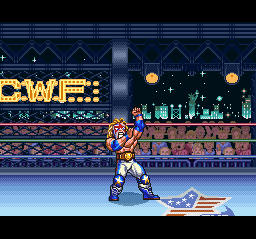 The Ultimate Warrior, anyone? 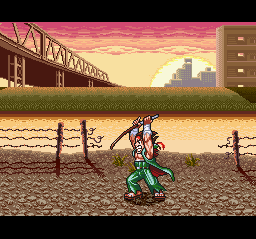 Rather than always blocking, pressing R allows you to briefly side step and avoid potential attacks. Good stuff. Pressing forward and R when close to an opponent allows you to go around them and strike them from behind. Both of these features add extra depth to the game and definitely puts a new twist on an old formula. Really keeps you on your toes! 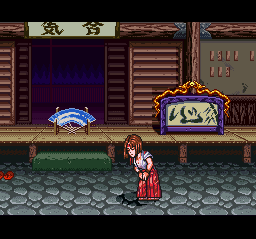 OUCH… that’s gonna leave a mark. Dashing backwards can help you avoid getting punctured by Quaker’s vicious scythe. 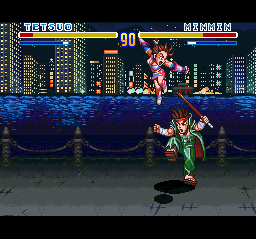 Tetsuo, on the other hand, wasn’t so lucky. Dashing forward is also possible. 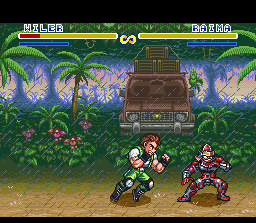 See the different costume colors for Wiler there? You can actually select from 8 (!) 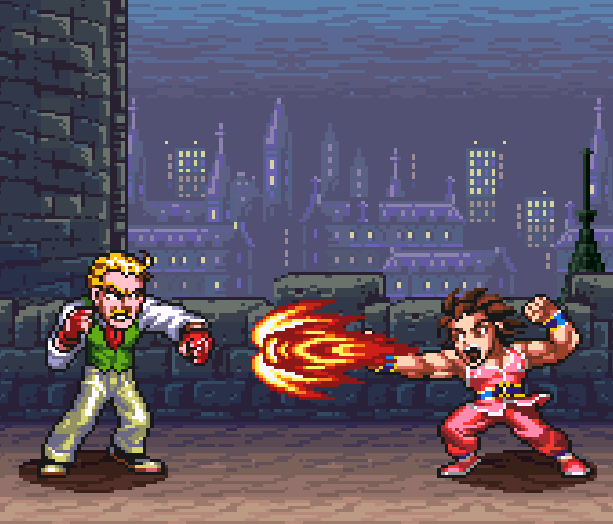 different colors for each fighter. 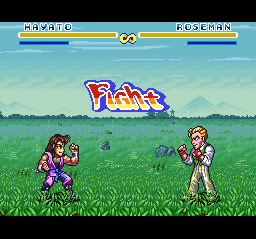 I always loved it when fighting games from that era had that as an option. 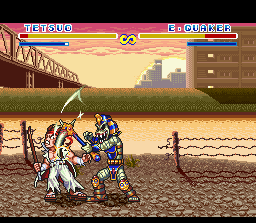 Monsters and muscle-bound maniacs battling feisty females? Sounds like another taping of Lucha Undergound! 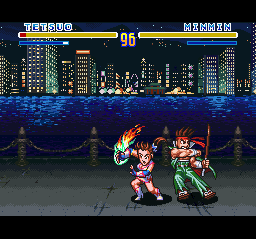 Endless barrage of fireballs await. Alongside belly flops both big and small! 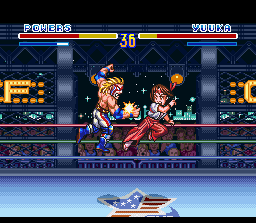 There’s something classic and pure about seeing that Fight label flash across the screen right before two combatants duel to the death. 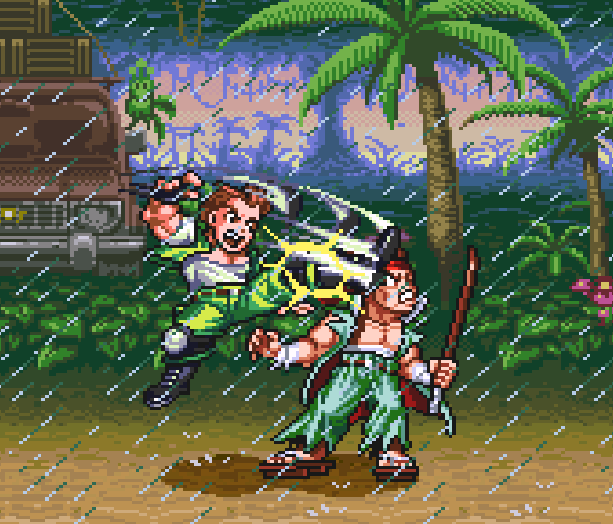 Special moves definitely look cool, but the control isn’t the best. 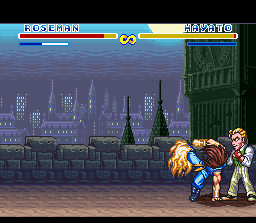 Roseman thinks he’s so cool, but he’s about to get lit up right under Big Ben! 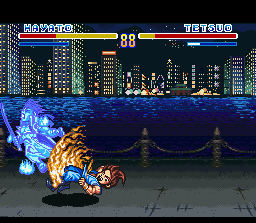 Was Sega inspired by Tetsuo? Or maybe that’s just his reaction to never receiving any royalty checks from Last Bronx. 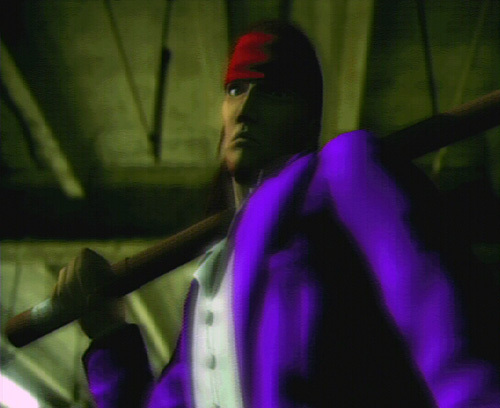 12 years is a long time to be curious about a video game you saw in passing as a kid. I couldn’t wait to finally play this game after a dozen long years wondering if it was as good as my 10 year old self imagined. 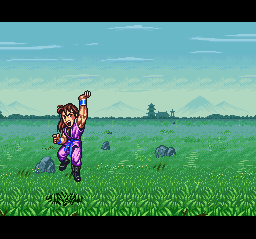 Sadly, SD Hiryu no Ken goes down for me as a massive disappointment. It looks great, sure, but not as much when you see it in motion. The frames of animation are a bit lacking and choppy. 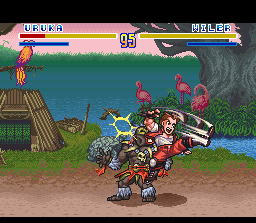 This is a big no no for a fighting game. Worse yet, the control is leaning toward the unresponsive side, with simple commands such as D, DF, F being way harder than it ought to be. This really spoils the experience. 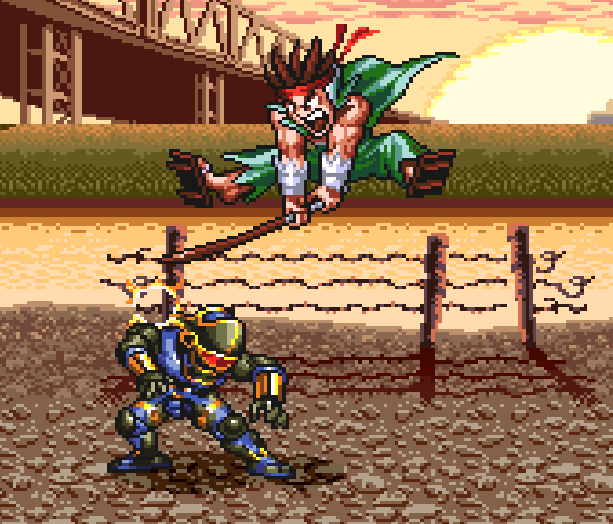 Sure, the game has got a ton of cool looking special moves, but what good are they if you can’t accurately rely on producing them on a whim? 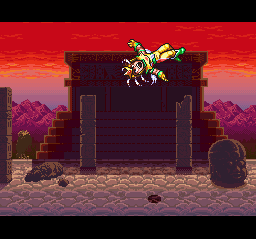 The jumping also feels clunky and the sound effects are lacking in oomph and impact. 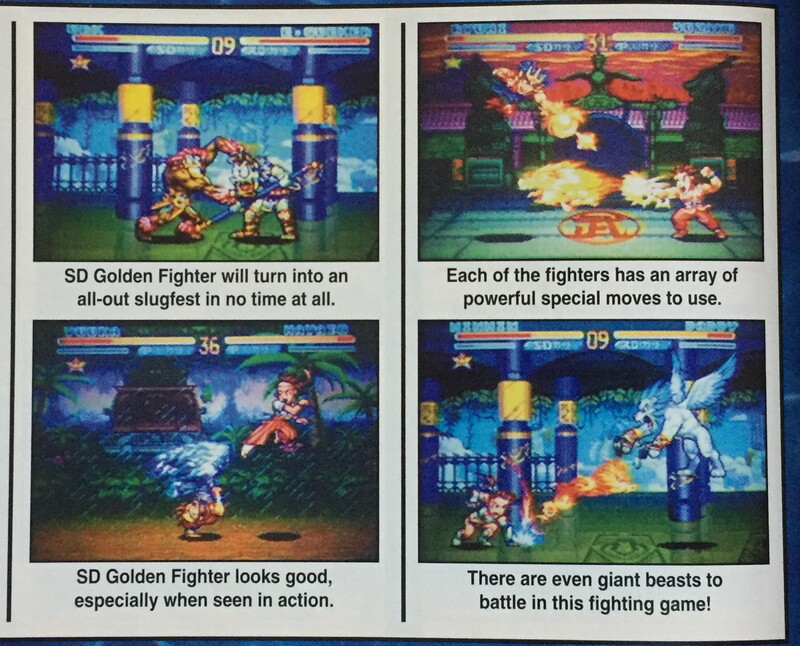 On paper, it looks like an excellent quirky fighting game. But somewhere in the developmental process, something went awry. Don’t get me wrong, it’s certainly not unplayable. And there are some fans who stand by this game adamantly. 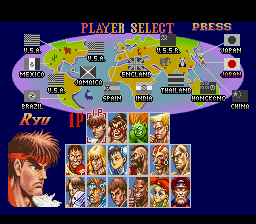 The 15 characters are varied and unique. 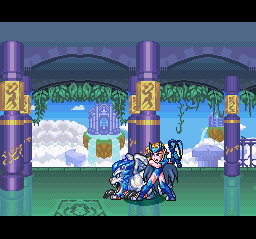 The art style is also very appealing. But it just doesn’t play very well and that’s something I can’t overlook. It does play better on the higher speeds but even then, I can’t help but feel this was a major disappointment. 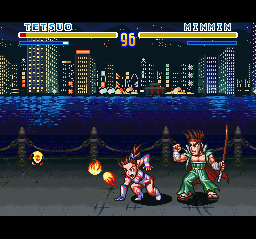 I wanted so badly to put it on my top 50 favorite Super Famicom games list but truth be told, it just isn’t that good. If I had to rate it, I would probably give it a 6.0 or a 6.5. Maybe a 7.0 if I’m feeling super generous. By my account, this game should have been an easy 8.5 at the very least. Very disappointing, indeed. Still, something keeps me crawling back to it every once in a blue moon. A disappointment, sure, but also something of a guilty pleasure. 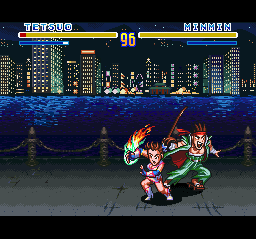 With some tweaking and polish, SD Hiryu no Ken could have been one of the best fighting games on the SNES, especially when talking specifically about home grown fighters exclusive to the Super Nintendo. Alas, much like the canned North American release, it just wasn’t meant to be.